From the author of the 2010 bestselling novel A Dog’s Purpose (which inspired the 2017 film of the same name) comes a new ‘tail’ of dogged devotion. This volume tells the story of Bella, a pit bull and Lucas, a disabled veteran. When the two are separated by breed specific legislation, Bella goes to incredible lengths to find her way back to her special person, touching multiple lives along the way. Read the book before the film is released. 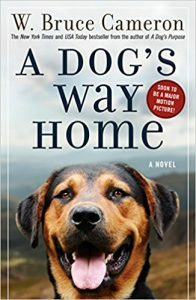 A Dog’s Way Home is released in paperback on 1 May 2018. Pre-order yours now. 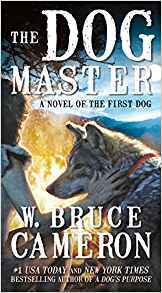 This novel tells the the exciting, imaginative story of the very first dog. This is also a glimpse of prehistory, an emotional coming of age saga, and a thrilling tale of survival against all odds. The hardback is out now but the mass market paperback will be released on 28 August 2018. Pre-order yours now. 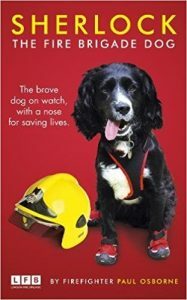 This is the incredible true story Sherlock, an energetic working Spaniel and the Fire Brigade’s top dog on the watch. As part of the Fire Investigation Dog unit Paul and Sherlock have investigated hundreds of the most dangerous fire scenes, and with Sherlock’s nose for identifying causes of fire, have kept London safe. If you enjoyed Fabulous Finn, you’ll want to pre-order Sherlock’s book now.